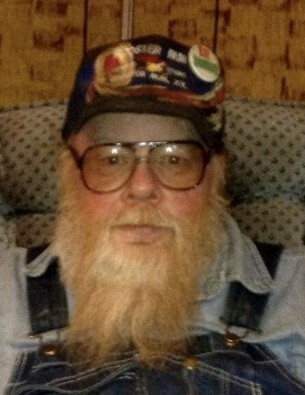 Gerald “Red Dog” Wheeler, 66, of Hustonville, KY passed away on Saturday, February 9, 2019 at Ephraim McDowell Regional Medical Center in Danville, KY. Born March 9, 1952 in Danville, KY to the late Thomas Floyd Wheeler, Jr. and Myrtle Tinsley Wheeler Austin, he was a veteran of the United States Army, worked as a welder for most of his life, and was a member of the Baptist Faith. He loved U.K. Basketball, Nascar, fishing, and history, and was a legend in his time. Survivors include two sisters, Anita Wilson, and Vicky Martin (Jeff); one brother, Bobby Wheeler; two grandchildren, Cheyenne Wheeler and Rayna Wheeler; his best friend, Ronnie “Screwball” Walls; and his dog, “Spunky-Doodle”. In addition to his parents, he was preceded in death by his son, Larry Joe Wheeler. Visitation will be Wednesday, February 13, 2019 from 4-9pm at Spurlin Funeral Home Chapel, Stanford. Funeral service will be 2pm Thursday, February 14, 2019 at the funeral home with Jason Coulter officiating. A private family interment will be held at a later date. Honorary bearers will be: Ronnie "Screwball" Walls, Charlie Crawford, Irvin Cochran, Marlon Tinsley, Mark Durham, Dale & Yolanda Estes, Joey Woods, Dean Coffey, Scottie Tinsley, Charles "Wolf" Underwood, Russell Gibson, Mark Salyers, and many other friends that we couldn't possibly mention. Memorials in lieu of flowers may be given as donations to Spurlin Funeral Home, Stanford (411 W. Main Street, Stanford, KY 40484) to help the family with funeral expenses.